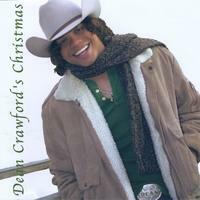 Dean Crawford - "Green Eyes Cryin’ Blue Tears"
It is the season to be jolly. Almost. CSO is trailing Santa early, giving you the heads up on two recent Christmas releases. The first comes from Dean Crawford. The hard-working Baltimore resident bares his Yuletide soul of despair on a track of December lost love. While the tale may be heavy, with a voice made for country and a rhythm section of twangin’ guitars, the sound is anything but. The self-penned track comes from Dean Crawford’s Christmas. The album is out on Tate Hill Records. 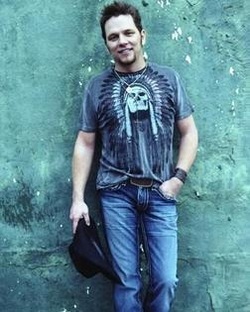 This talented singer and songwriter, who cites Garth as an influence, also has a new album on the way. Titled Who I Am, the album comes slated for an end-of-year release. Not readily known to CSO, Crawford’s winning style of country rock ensures that he soon will be. Tommy Joe Wilson - "Overdrawn At Christmas"
East Texan Tommy Joe Wilson has another spin on the joys or in his case the tribulations of the time to be merry. In the highly relatable tune, one telling of the woes of being “Overdrawn At Christmas,” comes an infectious and humorous prod at tinsel time spending. Tracking the power of positive persuasion, our lyrical hero falls for stockin’ stuffin’ on a grand scale, resulting in rubber checks bouncing and the woes of buying all the wrong things, at the wrong prices, for all the wrong people. A relative newcomer, TJW also is out and about with his debut album, Growin’ Up Down South. Released on Softdrive Records, the album is out now.